> A puzzling way to memorize scripture. > Looking for a colorful way to pray? > When you have no words! It’s difficult sometimes in the midst of hardship and silence to stop and remember what we know to be true about God. We would rather focus on the situation around us and all the things that aren’t working instead of trusting in the truth that God promises He will work all things together for good. 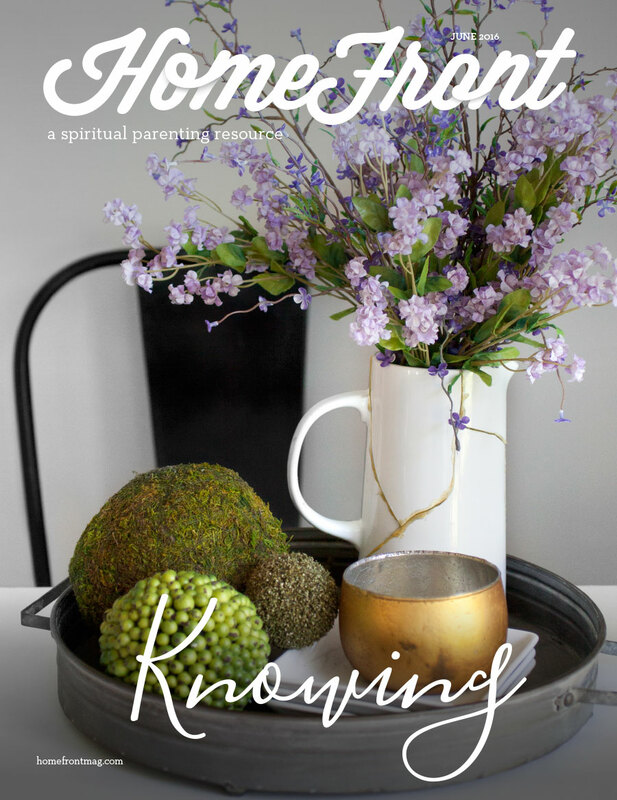 This month’s HomeFront is filled with ways to impress this truth on the hearts of your family members. We pray that as you spend time with your family this month, focusing on the activities in this month’s issue, you’ll be encouraged with what you know to be true about God. When we focus on what we know instead of what we feel, we can stand firm and move forward in even the most impossible situations. God desires for us to know Him in this way and walk in the confidence of His faithfulness.